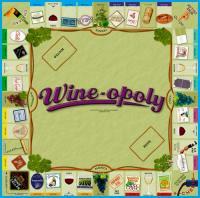 My recent post about How Much Choice Do Wine Drinkers Really Have? made the point that true diversity in wine choice is complicated. Although there are constellations of wine brands that are theoretically available, from a practical standpoint the choice available to you depends on your price point “comfort zone,” how you shop (on-line or wine club versus bricks and mortar stores), where you shop (local shop versus national chain store), where you live (state regulations vary enormously) and many other factors. It takes a village to raise a child, they say, and it takes an entire product chain to raise up a diverse selection of wine … or not! A persistent concern is the influence of giant wine companies with dozens of wine brands in their portfolios. The conventional wisdom seems to be that these big firms merely create the illusion of choice, not choice itself. 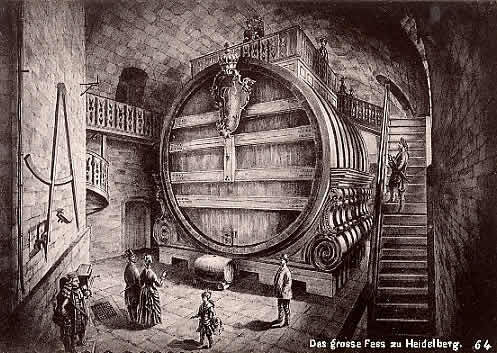 I guess the idea is that all of these different wine brands actually pour out of the spigot of one giant wine tank. If they all come from Gallo (or Constellation Brands or Treasury Wine Estates, etc.) then they must all be the same — or so similar as to make choice irrelevant. I call this the “One Big Tank” theory and I think it’s a myth, although like all myths it contains a grain of truth. The reality is that giant wine companies can and often do produce distinctive wines. And smaller operations sometimes pump out quantities of relatively terroir-free negociant wine to pay the bills. Size matters in wine, but it’s not the only thing. My motto is still “think global, drink local,” so I am not arguing against small terroir-driven producers, but I think at least some of the big wine companies have an undeserved poor reputation from the wine choice standpoint. Giant wine companies have many advantages: access to capital, technology and vineyards, for example, and economies of scale in purchasing, distribution and some aspects of production. What matters from the consumer choice standpoint is how these advantages are employed. You can aim to fill that one big tank as cheaply as possible or you can leverage the large scale advantages to create real quality and diversity. A good example of how the myth unravels at least some of the time comes from my visit to South Africa. I was a guest of Distell for part of my visit (Distell owns Nederberg and I gave the keynote at the Nederberg Auction) and this gave me an opportunity to learn about the company, which is South Africa’s largest wine and spirits producer. If you go strictly on stereotypes, Distell has got to be one of those “big tank” operations because it has most of the defining characteristics. It is, first of all, a “drinks company” and not a “wine company,” to use a distinction I first heard from a New Zealand winemaker (who worked for a “wine company,” of course). Here’s how the wine vs drinks dichotomy works. Wine companies make wine (and only wine) and are often family owned. Drinks companies, on the other hand, manufacture all sorts of alcoholic beverages and are usually public corporations. Whereas wine companies think tradition and terroir, the story goes, drinks companies think marketing and product positioning. Wine companies sometimes stay in the founding family’s control for generations. Drinks companies often get acquired, merged and traded back and forth like properties on a Monopoly board. Distell fits the drinks company profile pretty well. It dominates the market for brandy in South Africa and is the leading wine producer, too. It is the world’s #2 producer of cider, another “drinks” category. Distell has strong international interests and owns both a French Cognac house (Bisquit) and an Asian distributor. It has over 30 spirits brands in its portfolio and an even larger number of wines, wine apertifs, ciders and “ready to drink” beverages. Distell is probaby best known in the U.S. for its Two Oceans and Fleur du Cap wine brands, but its hottest product is a cream liqueur called Amarula, “the Spirit of Africa.” It is the #2 best-selling cream liqueur in the world according to the company’s 2012 annual report. Distell also has a complicated business history.¹ The current firm was created in 2000 with the merger of Stellenbosch Farmers’ Winery and Distillers Corporation, but the history stretches back a ways. Key players include the South African billionaire Rupert family, which controls a diversified multinational business portfolio (they own the Richemont group of luxury goods companies, for example), the South African wine giant KWV and the big beer player SAB (think SABMiller — SAB stands for South African Breweries). So, Distell fits the big tank stereotype pretty well and some of its products have the classic “drinks company” profile, too. But the evidence that wine choice at Distell is an illusion is what Perry Mason would call “circumstantial.” Can a “drinks company” like Distell offer consumers wines that give then a real choice and not just an illusion of choice? Inside the big drinks company I found a good deal of counter evidence to the big tank theory. Join me in my next post as I climb into a snorkel-equipped Land Rover 4×4 and visit Distell’s Durbanville Hills Winery. The top image is an historic example of a great big tank: the famous Heidelberg Tun, made in 1751, with a reported capacity of 220,000 liters. Here’s what Mark Twain had to say about it in A Tramp Abroad (1880). Everybody has heard of the great Heidelberg Tun, and most people have seen it, no doubt. It is a wine-cask as big as a cottage, and some traditions say it holds eighteen hundred thousand bottles, and other traditions say it holds eighteen hundred million barrels. I think it likely that one of these statements is a mistake, and the other is a lie. However, the mere matter of capacity is a thing of no sort of consequence, since the cask is empty, and indeed has always been empty, history says. An empty cask the size of a cathedral could excite but little emotion in me. I do not see any wisdom in building a monster cask to hoard up emptiness in, when you can get a better quality, outside, any day, free of expense. ¹ Most of what I think I know about Distell’s business history I learned from the company’s investor website and from Nick Vink, Gavin Williams and Johann Kirsten, “South Africa” in Kym Anderson (editor), The World’s Wine Markets: Globalization at Work (Edward Elgar, 2004). « How Much Choice Do Wine Drinkers Really Have?